A fire left one man dead on Detroit's west side Friday morning. 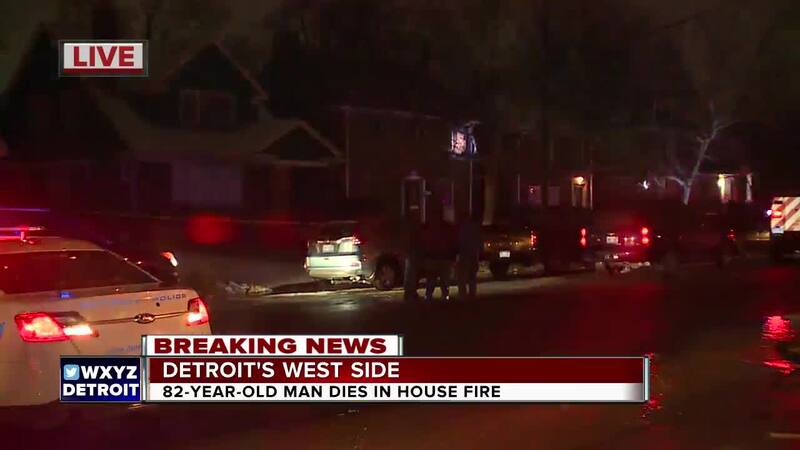 DETROIT (WXYZ) — A fire left one man dead on Detroit's west side Friday morning. It occurred overnight at a home on St. Mary's Street near Grand River. Family members say 82-year-old Lee Jones died in the fire. Firefighters on scene say Jones was on oxygen and a smoker. Three other people were reportedly in the house when the flames broke out, but it is unknown at this time if any of them were injured.